1. 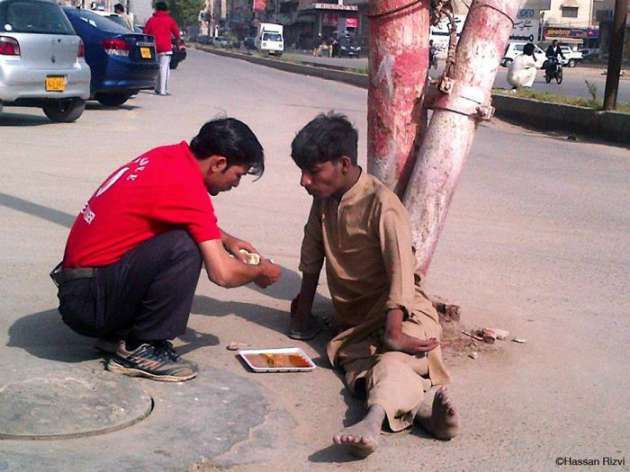 A Pakistani Waiter feeding a homeless man who can’t use his hands. Such great message in this pic. 2. 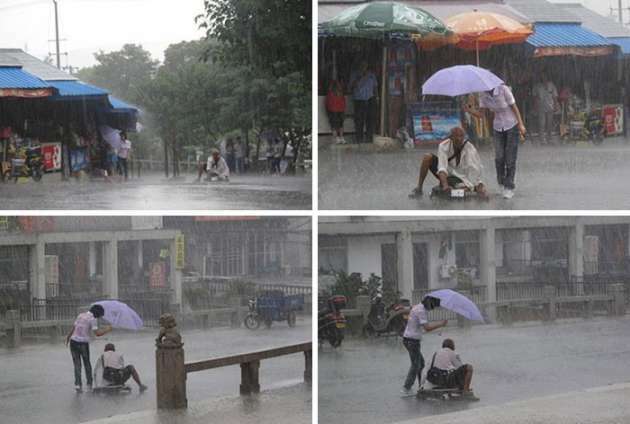 A girl helping a soaking old man to cross the road, with her Umbrella. 3. 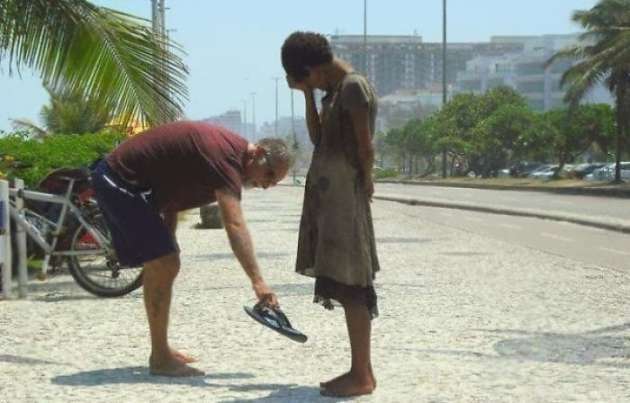 A man giving his pair of Flip Flops to a homeless girl(while she’s crying). 4. 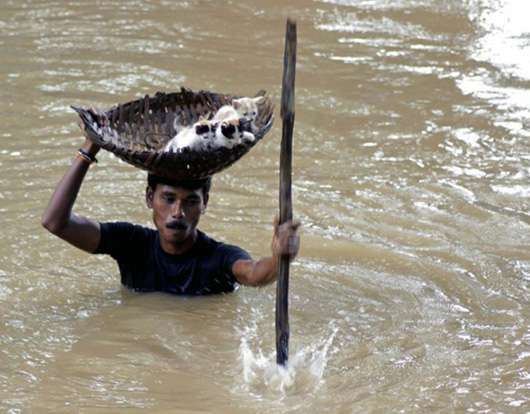 A man rescuing kittens from the floods and taking them to the shore. 5. 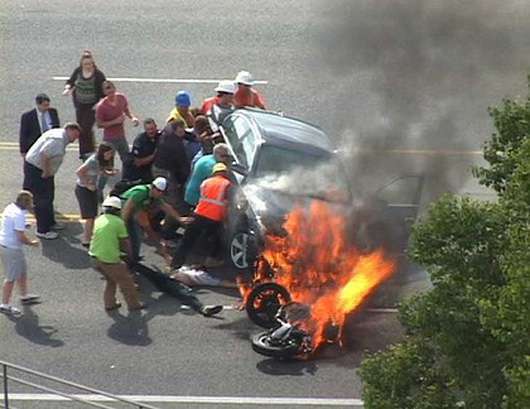 People trying to help a victim who got stuck under a burning car, after he met an accident. 6. 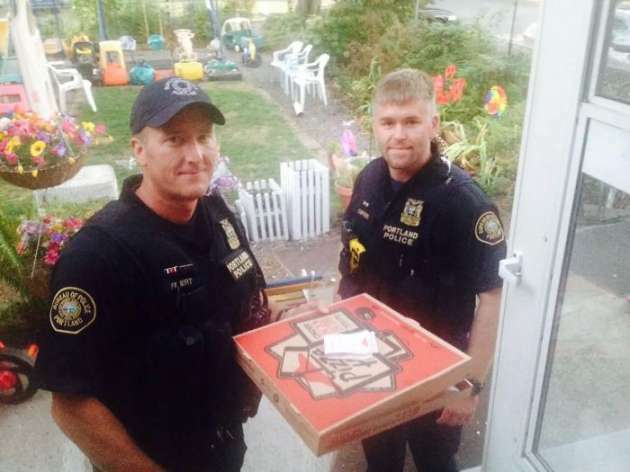 Officers delivering the Pizza on time after the Delivery boy met an accident. Also, check out: This 83-Year Old Man Will Restore Your Faith In Humanity. 7. 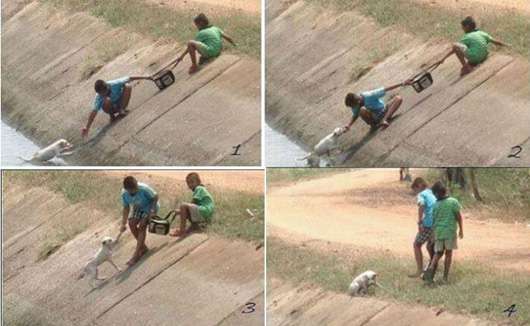 Two Boys rescuing a dog from a Canal as the dog failed to climb the steep wall. 8. 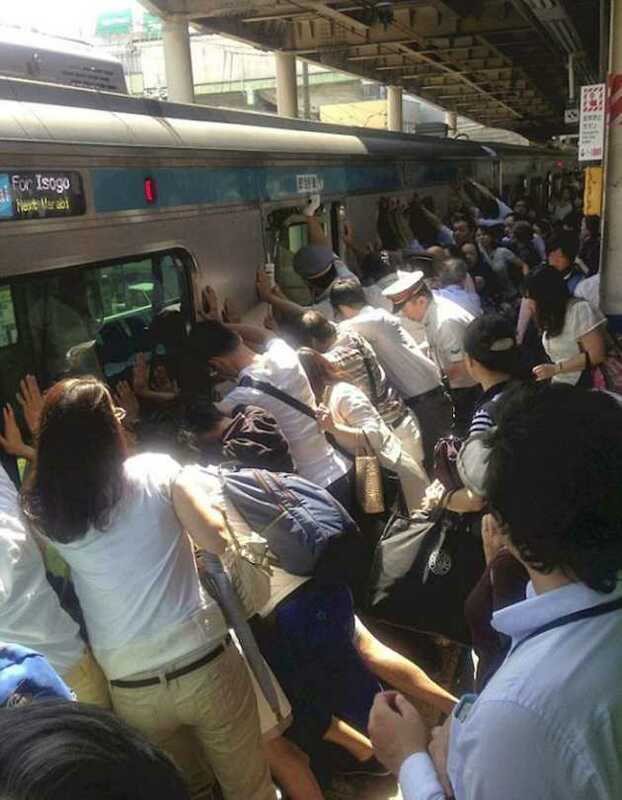 People working together to help rescue a person who got stuck between platform and the train. 9. 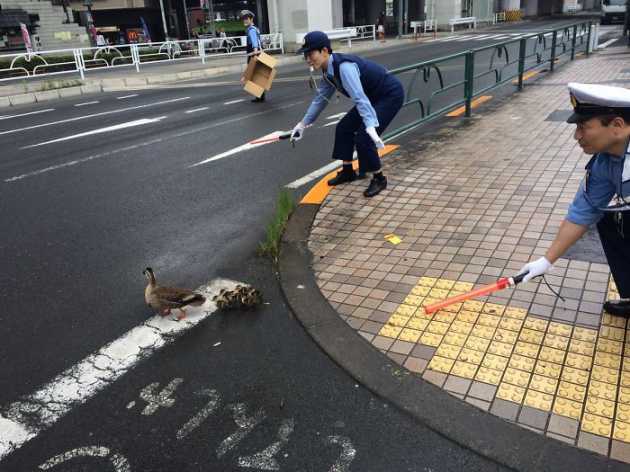 Japan Traffic Police Officers clearing the road traffic for the Duck Family to cross the road. 10. 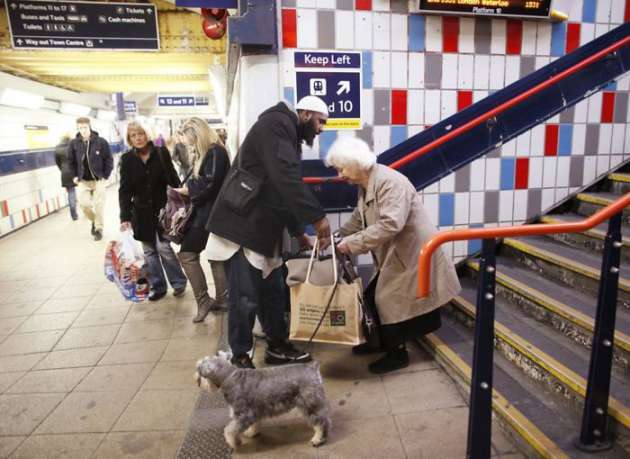 A man helping an old woman to carry her belongings in a subway station. 11. 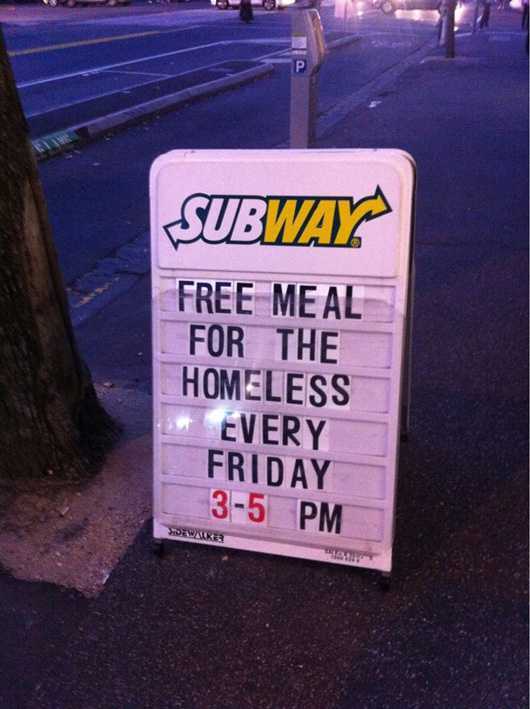 Subway showed their ‘Big Heart’ by giving free meals to homeless. 12. 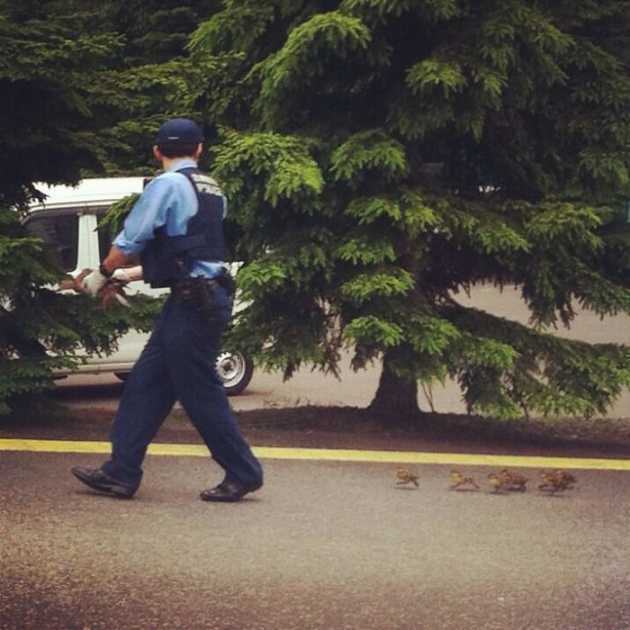 Officer helping little ducks to cross the road. 13. 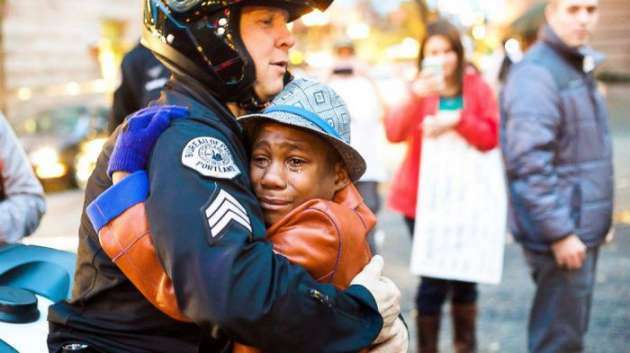 Officer hugging a boy as he was crying. Let us know if you know any other heroes like these which can restore faith in humanity for the rest of us.